HomeChelseaDo Manchester United Benefit From A Potential Willian-Martial Swap? There are still two games left in the Premier League season for Manchester United, against West Ham United and Watford. There are also roughly two months before the transfer window opens in Europe. However, it is never too early to speculate which players Manchester United might target during the upcoming transfer window. One of them is Willian, the current Chelsea winger who will also represent Brazil during the upcoming 2018 World Cup. It is not a secret that Mourinho loves his playing style, and that he would be quite open to a reunion with his former Chelsea star. 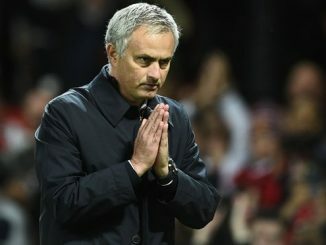 But even though Manchester United have approached Chelsea to make business, The Blues have rejected United’s approaches time and time again. Things could change during the upcoming summer, though. The Red Devils are growing increasingly frustrated with Anthony Martial and are open to a change of scenery for the French international… and Chelsea have emerged as the front-runner to sign him. That shouldn’t come as a surprise, as The Blues have always liked the former Monaco star and they have been following closely even before he joined the Old Trafford side. The question, then, becomes quite easy. How should Manchester United approach this situation? If they are keen to make a push for Willian and if Martial does not want to sign a new contract with the club, then exploring a potential swap deal seems like the best alternative for both parties involved. The Red Devils simply can’t risk losing a player like Martial for free, so if the 22-year-old wants to play for free, then shopping him is a must. In fact, a recent report indicated that The Red Devils would be happy to receive Willian + £40 million to let Martial walk to Stamford Bridge. It would be an impressive return, but would it be beneficial for both parties involved? Let’s find out. …the 29-year-old Willian has 11 goals and eight assists across 46 appearances (19 Premier League starts) during the current term. Numbers wise, both are quite similar and although Willian has one more league starts, the edge in appearances goes to Martial. In a way, we could say that Willian has been more productive in fewer minutes, but the margin is too close to use that argument as a difference maker. 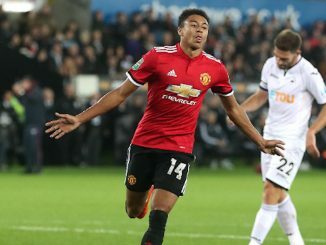 The upside edge clearly goes to Martial since he is seven years younger, but United need a proven, in-his-prime type of player and Willian certainly fits that bill. For what is worth, Willian’s international experience – both at club and international level – could be a plus for United going forward, especially if the team wants to win as soon as next season. Everything will depend on the team’s focus going forward. But if United want to be a competitive side on all fronts next season, this is a move they HAVE to make. Willian would represent an upgrade right now over Martial, and that extra £40 million could mean to sign another quality in the transfer market.